Your Vehicle Registration Number will not be revealed. Want to Buy QuickSell Vehicles? 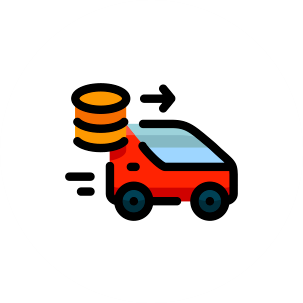 Quicksell is an auction-based highly efficient trading platform which allows an individual, sellers and repos to use Droom services to sell to 30,000+ Droom certified auto dealers and millions of shoppers who visit every month. 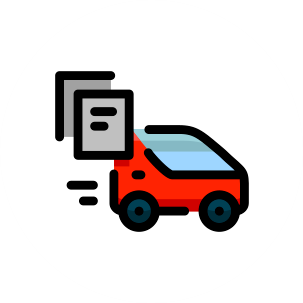 Quicksell allows to create a listing from the comfort of home, offers independent, unbiased and objective certification for pricing & vehicle history and runs a highly transparent auction which avoids middlemen margin and helps you get paid quickly. 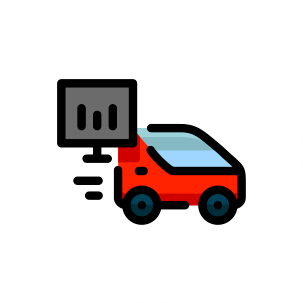 How do I sell my vehicle on QuickSell? Just give us your basic details and schedule a free door-step inspection. An inspector will visit you and start inspecting your vehicle. After the vehicle is thoroughly inspected, it is now listed on Droom's QuickSell marketplace with vehicle details, pricing, history, and condition reports. We now run a Live online auction on your vehicle wherein our 30,000+ verified buyers start bidding. All you have to do is choose the highest bidder, meet him and receive payment. In case you don't get your preferred price in the first auction, we run 2 more auctions for you. What if even that doesn't suffice? Take heart. You can sell your vehicle either on Best Offer, negotiating with a potential buyer or on Fixed Price, quoting a price for your vehicle. Who can buy from QuickSell? What all pricing formats do I have while selling? Auction allows you to bid on listed vehicles, wherein the vehicle is sold to the highest bidder. This allows you to score best deals at unique prices. You specify the minimum bid value, below which bidders can’t bid and a reserved price, below which the vehicle won’t be sold. Auction starts after 15mins from successful inspection of your vehicle. First auction runs for 1 hour and verified dealers now bid for your vehicle. Listing is pulled off from marketplace when the highest bidder pays the 2% - 3% token amount. The highest bidder is will meet you within 48 hours and give you the remaining payment. In case reserved price is not met in the first auction, second auction runs for 6 hours and then 3rd auction for 12 hours. What is fixed Price pricing format? Fixed Price is the traditional way to buy and sell the vehicle or service with a fixed price tag.You quote a price for your vehicle and fix it. Buyers interested to buy your vehicle at that price will pay the token amount and close the deal. What is best offer pricing format? Best offer pricing format allows you and the buyers to negotiate on price and land onto one, which is best for both. Buyer(s) can make a maximum of three price-based offers against one listing without paying token amount. You may select or reject any of the offers. The listing is pulled off from the marketplace after you accept an offer. What is Door step inspection? Door step inspection is an independent, objective, unbiased, comprehensive, and scientific auto inspection service with 121 checkpoints. Vehicles with ECO inspection certificate have a higher chance of getting sold at the right price as compared to non-inspected vehicles. What is Pricing & History certification? Pricing certification provides Orange Book Value Pricing for your vehicle, which is the Pricing Benchmark Tool in India and is Independent, Objective and Unbiased. History, on the other hand, provides overall information about a vehicle’s background, covering up to 50 different history records. Including Pricing and history report with any vehicle increases its chances of selling by 44%. How quickly will my vehicle be sold? Theoretically, on the fly. Through QuickSell, Your listing can be sold at a high velocity as it is visible to thousands of automobile dealers who are willing to buy. Moreover, it also depends upon the condition of vehicle, pricing and history certification details provided to the buyers which makes it easy for you to sell your vehicle. What if I sell offline / not on Droom? You might choose to sell your vehicle offline by physically going to automobile centers, but that comes with a lot of pitfalls. Pricing is full of conflict, it lacks transparency and often leads to unfair treatment. 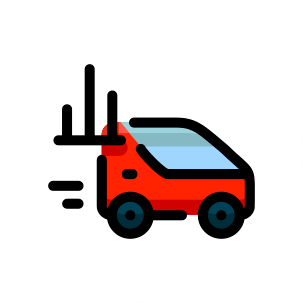 QuickSell offers you comfort and ease by providing free door-step inspection and fair and transparent auctions which makes it easy and quick to sell your vehicle.